The Indian Ladies Association is organising a gala fundraiser ‘KK LIVE IN CONCERT’ in aid of the Sneha School for Special Needs, on Saturday 21st November 2015 at the Indian School grounds, Isa Town at 7:30 pm. 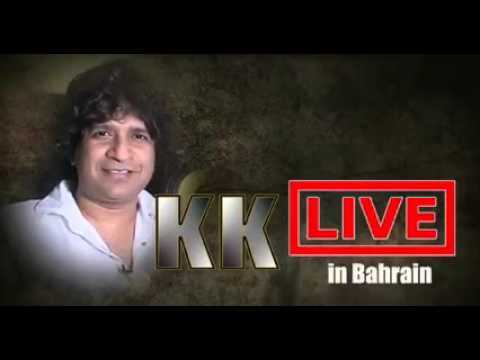 Famous Bollywood Singer KK with his seven-member team is coming to Bahrain to entertain the audience. ILA’s annual fundraiser is not just about raising the much-needed funds for Sneha – it is also a platform from which to tap the generosity of the community in Bahrain and keep alive the spirit of caring, sharing and support that embodies Sneha. “Sneha was established by ILA in 1987 and serves not just as a free full-fledged recreation centre for children with special needs but also as a support system for their families,” says ILA President Nivedita Dutta. “What makes Sneha unique is that it is powered entirely by the dedication and caring with which our volunteers teach the children, and the community support and donations that we receive to fulfill our commitments in providing this care. Sneha is fully approved by the Ministry of Social Development and we accept children of all nationalities and work with them regardless of their unique needs.” The 22 children at the Centre are Bahraini, Indian, Pakistani and Filipino. Besides basic life management lessons, Sneha also runs a thriving Assisted Art Programme through which the children’s natural joy and love of colours finds expression. They paint Diwali lamps which sell very well and their paintings are often printed onto stationary or greeting cards. The ILA also supports some of the children with their medical check-ups since many need continuous care.” The tickets for the show are priced at BD 50 (admits 2) and BD 25 (admits 2) BD 10 (admits 1) and BD 5 (admits 1). Donor passes are also available at BD 100 (admits 2). The ILA promises that this show will definitely be a real entertainer for all – so make sure not to miss it! Please call 34449695 / 34172910 / 35560755 / 39227567. Tickets are also available at Lulu in Riffa and Dana mall and Mumbai Spices.